Marvel Studios is slowly building their cast for the upcoming standalone Black Widow film. 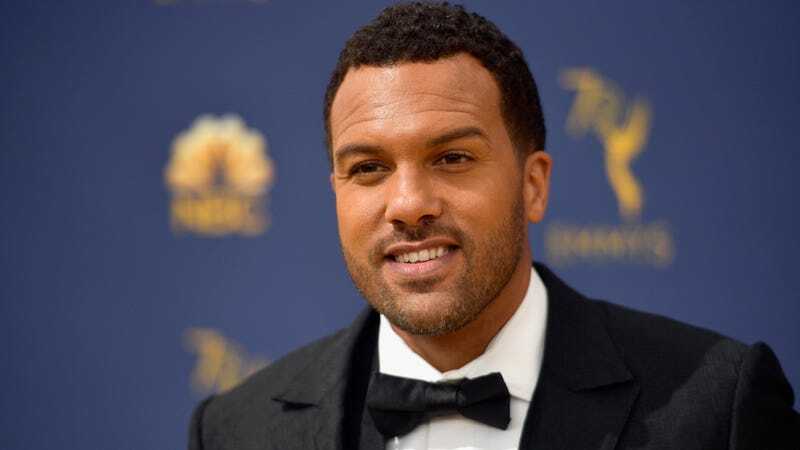 The next one to enter the Marvel family is British actor O-T Fagbenle, who will be starring opposite of Scarlett Johansson in a yet-to-be-disclosed role, per a report from Deadline. He joins Florence Pugh, David Harbour, and presumably Rachel Weisz, who was last heard to be in negotiations for her own mystery role. Production is reportedly set for this June in London. It’s still too early for confirmed plot points or even a tentative release date, however Deadline reports that the film will center on Natasha Romanoff’s origins as a KGB assassin. Australian filmmaker Cate Shortland will assume directorial duties. Fagbenle currently stars on Hulu’s Emmy-winning series The Handmaid’s Tale as Offred’s husband, Luke Bankole. His credits also include the short-lived HBO series looking and Assassin’s Creed IV: Black Flag. Elisabeth Moss on how The Handmaid&apos;s Tale aligns with her Scientology beliefs: "It&apos;s a complicated thing"